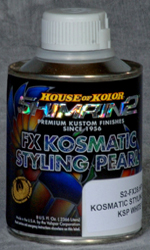 Shimrin2 FX Kosmatic Styling Pearls are as tough as their namesake, House of Kolor Founder Jon Kosmoski. 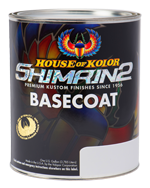 These are the latest in Pearl technology with tinting strength never seen before in any Pearl pigment, and the color flop direction is like nothing you've ever seen. Ride in style with the FX Kosmatic Styling Pearls!